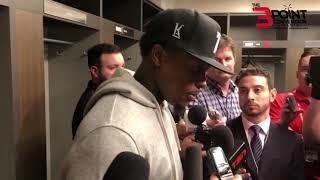 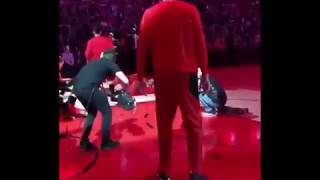 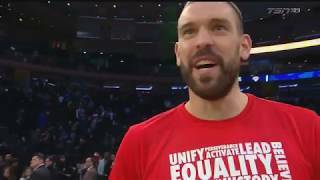 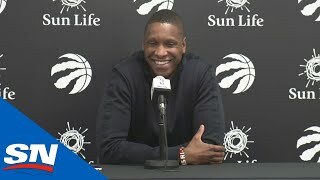 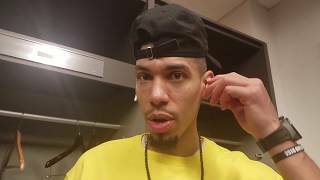 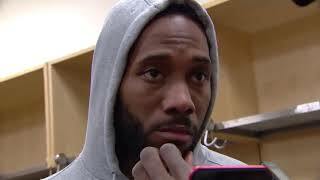 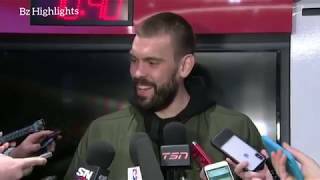 Raptors Post-Game: Marc Gasol - April 19, 2019 Marc Gasol addresses the media following Toronto's 98-93 Game 3 win over Orlando on Friday. 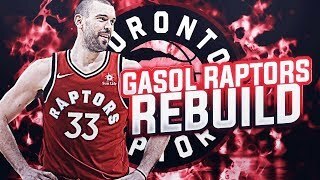 Toronto Raptors vs Orlando Magic (98 - 113) Marc Gasol: 24 min, 16 pts, 5 reb, 7/13 FG, 1/1 3PT Ibaka: 24 min, 14 pts, 5 reb, 7/14 FG, 0/1 3PT. 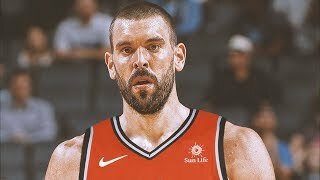 New York Knicks vs Toronto Raptors (99 - 104) Marc Gasol: 19 min, 7 pts, 6 reb, 3/7 FG. 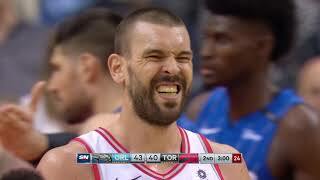 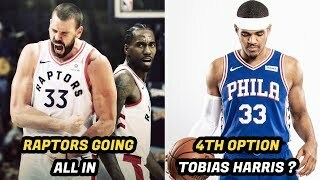 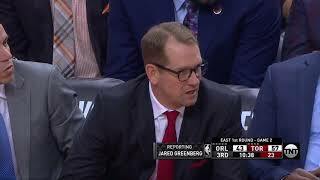 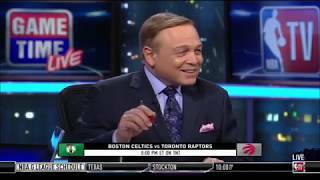 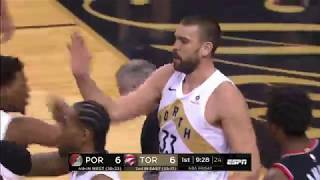 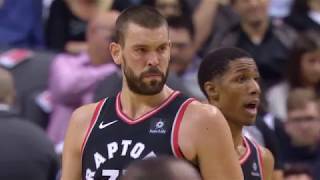 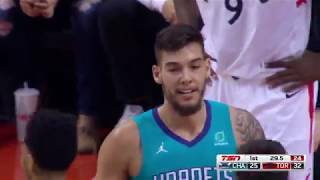 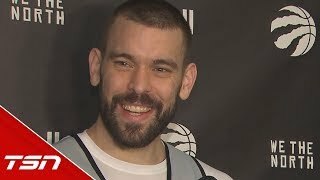 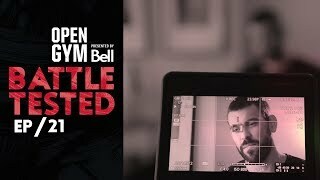 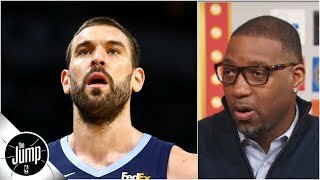 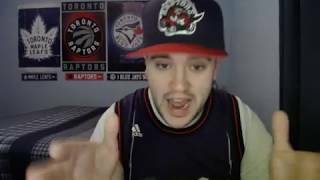 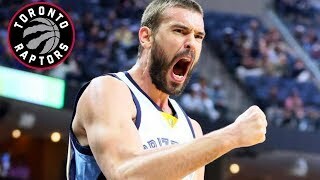 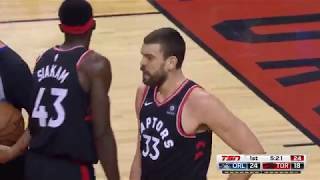 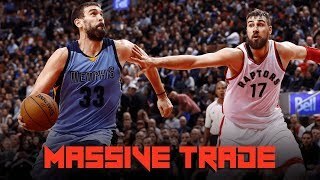 Raptors Post-Game: Marc Gasol - April 16, 2019. 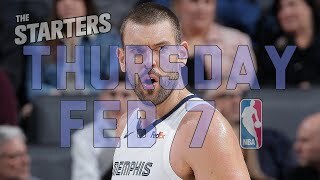 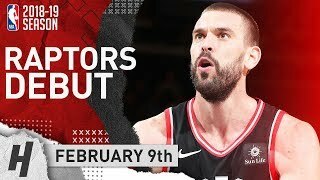 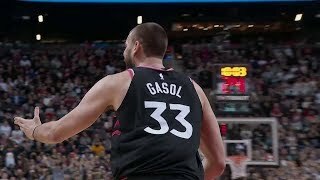 Raptors Post-Game: Marc Gasol - March 1, 2019. 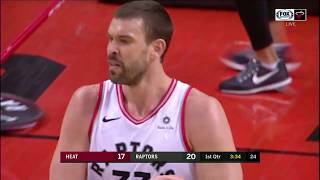 Raptors Practice: Marc Gasol - February 20, 2019.